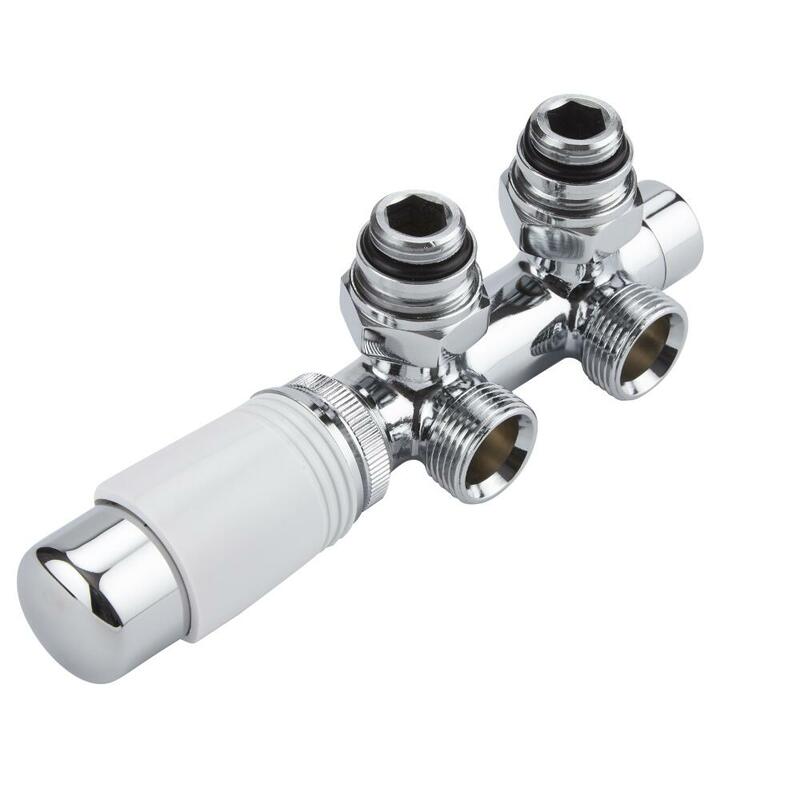 Complete the look of your designer radiator with the Hudson Reed white thermostatic angled H-block radiator valve. 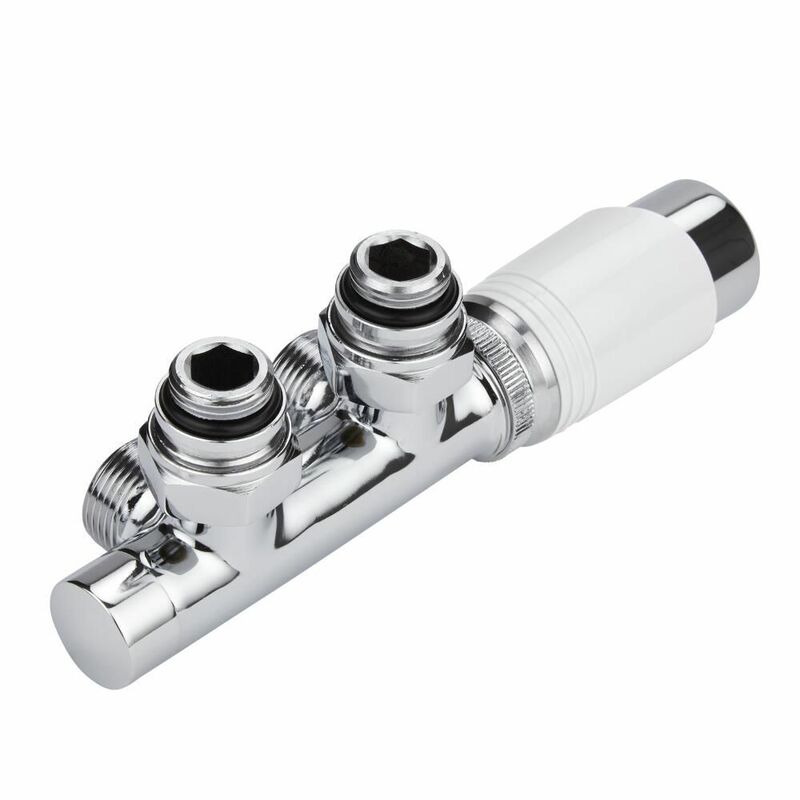 Designed specifically for installation with middle connection radiators, this thermostatic valve incorporates two-inch pipe center inlets, and allows you to easily control the temperature of different rooms. 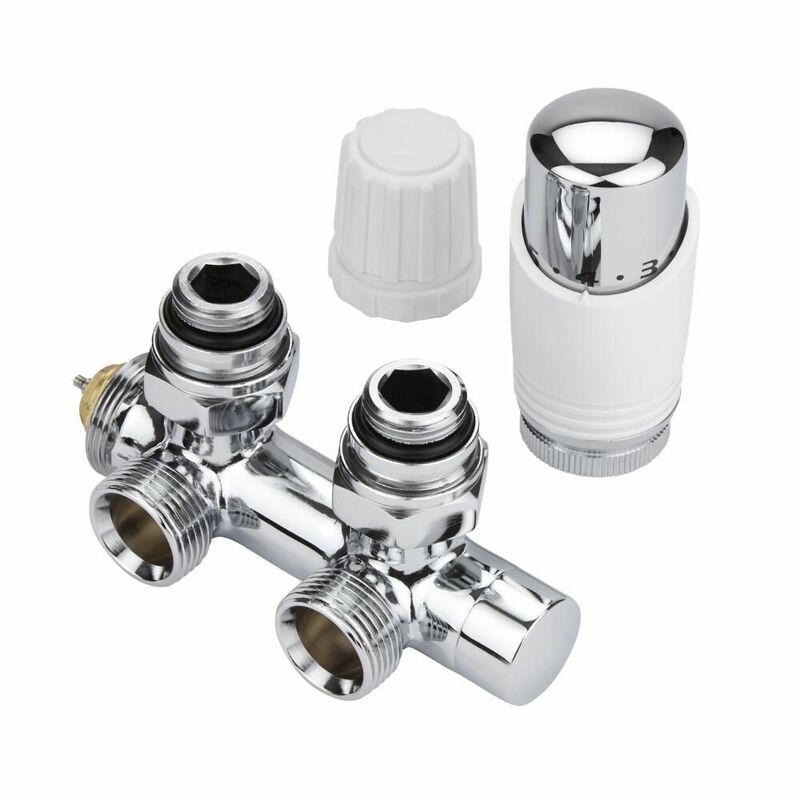 Manufactured to guarantee standout durability, the valve is constructed from solid brass, and features a contemporary design with a striking white finish.